Autumn is my favorite time of year. Because I live in such a hot, dry area of the country, I look forward to the relief of the crisper, cooler weather and all that goes along with it. Family gatherings, bonfires, pumpkins, and cozy food are the thoughts that keep me going during the hot summer months. So when October rolls around, I’m ready for fall garden decorating! One of my favorite projects to do every fall is the Pumpkin Topiary. It’s so simple, costs just a few dollars, and creates a harvest focal point by your entryway, on the patio or deck, or even right in your garden. And did I mention it takes all of ten minutes from start to finish? Look for pumpkins that are free of puncture marks, holes, or gouges – this type of damage will allow decay to set in much more quickly. 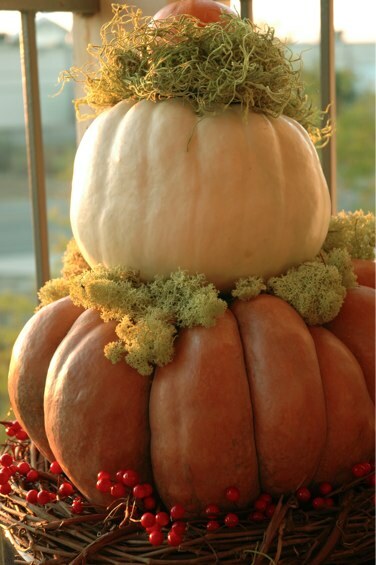 If you choose a well-formed pumpkin with no visible holes or scratches, you can have your Pumpkin Topiary outside through the end of November. 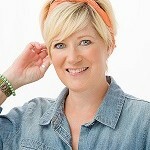 Jenny Peterson is an Austin, Texas-based garden designer with her own firm, J. Peterson Garden Design, as well as a writer, author and speaker. She specializes in designing, writing and speaking about gardens that enhance the quality of life, heal from the inside out and help to create balance and wellness.